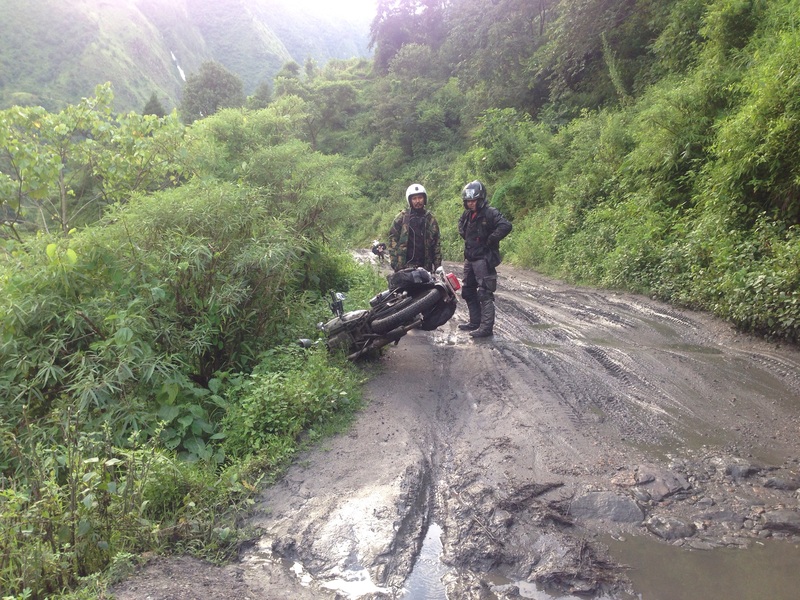 Today was the ride back to Pokhara and to finish up our ride. The day started with pretty good wether and progressively got quite hot and humid, however the final leg into Pokhara the rain fell for a short period. There was still plenty of mud to negotiate throughout the ride, so deep in places that it would simply drag your feet off the pegs and you were doing all you could to keep the bike and yourself upwright. It was loads of fun however as both Steve and I were amazed at how robust the bikes were as we were riding “road bikes” in places We would not want to take our big BMW GS Adventures! Local growers carry these baskets with straps over their heads for kilometres selling their produce as they go. Hard work! 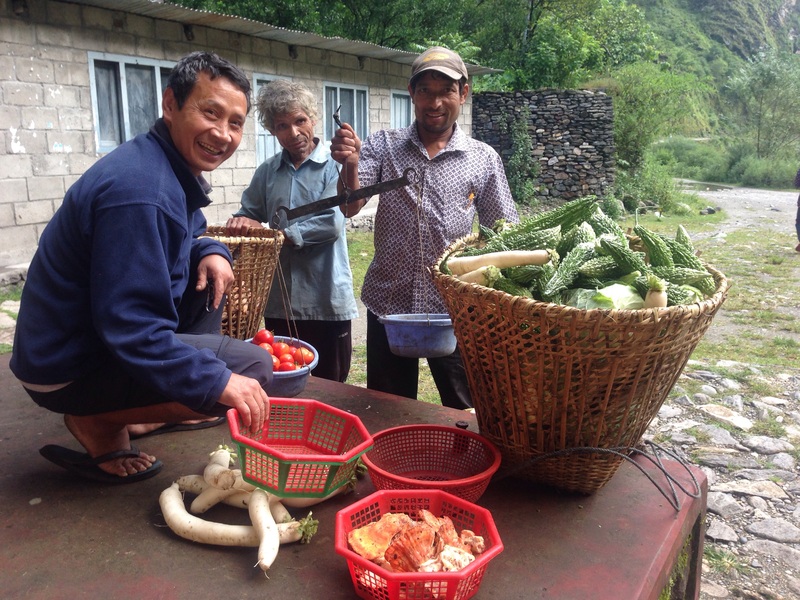 As we passed along the one road in and out of this area of Nepal we would come accross individual traders who would carry huge loads of produce and sell to house holds along the way. This is very hard way to make a living but the locals always are friendly and have a smile waiting for you. Unfortunately Steve’s bike had an electrical fault a couple of hours ride short of Pokhara which halted our journey for an hour or so while Mutu, our guide went and found another ignition coil to replace the faulty part. 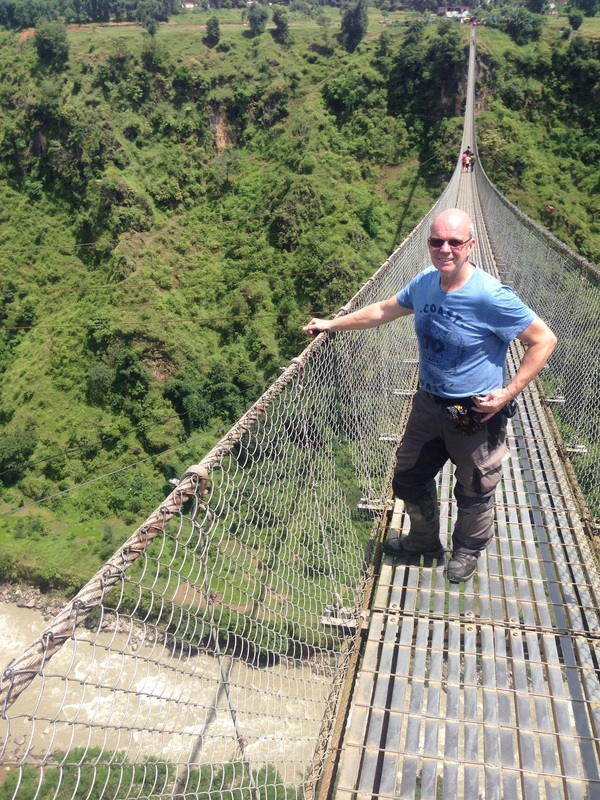 Steve on the longest suspension bridge in Nepal. Yeh, it’s certainly long when you start to walk on it! Fortunately it gave time for Steve and I to venture down to the nearby huge suspension bridge and walk accross. Yes, it’s long and yes it’s very odd walking across it. We made it back to Pokhare all ok and met up with the rest of the Hearts & Tears bike rental team to laugh about what we had been up to. It was hot and we deserved a beer so we all agreed to catch up at one of the local bars for a drink in an hour. A great way to finish our ride.